I was totally inspired what Helen at Afeitar said about libraries and I also feel passionate about that state of libraries in the UK at the moment so I decided to write something similar. Yes, I am a library assistant so I'm a little biased but libraries are important and need to be saved! There has been a lot in the news recently about the cuts that libraries will face under the ConDem government, so it is more important then ever to support your local library. This blog has compiled a list of all the library closures in the UK and it makes for pretty bleak reading. I hope I can convince you to visit your local library, the more you visit and the more books you take out the less likely it is to shut. Local authorities are less likely to cut a service that is performing well. Libraries are free so why not visit and have a look at what they can offer you? If you want to take up a new hobby then the library can help, they have books on everything from knitting to photography, cookery to fishing and much more. If you live in Wales and want to check out what time your local library is open or search the online library catalogue visit http://www.library.wales.org/ There is also free Internet access at the library and my local authority has an amazing selection of DVDs and CD's available to borrow. Libraries are a great place to interact with people in your community, we hold knitting groups, reading groups, q&a sessions with authors, activities for children, craft demonstrations and computer classes. Libraries are also a great resource for those who are unemployed, they have job search points and Internet access means people can apply and search online for jobs which greatly increases their chances of gaining employment. Libraries are not stuffy places, the ones I work in all over Caerphilly County Borough council are lovely modern spaces, there are no librarians glaring at you and saying shhhhhhh if you make a noise. 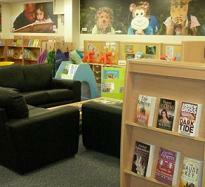 The following pictures are of Rhymney and Pengam library. To sum it all up 'use it or lose it' once the libraries close down you may never get them back and that would be very sad indeed! Have you got any fond memories of your local library? My mum's a librarian so our house is even more full of books than it was before ;) . The library she works in is actually getting a post office soon, it's all going to be closed and re-done blah, hopefully it'll bring a few more poeple in. The library's in an old school , so cute. x hivennn. p.s enter my giveaway? Oh wow, that sounds fab. If people are going in to post things they might see a book they like. I think librarians are great, if you go into your local supermarket to pick up cheap paperbacks you wont meet anyone who can develop your reading and recommend news things to you. I live in Oxford and the local libraries here are great. My nearest is probably going to close which is such a shame as I remember going there as a kid to get out Tintin books and the like! 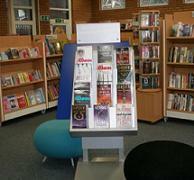 The central library here is great too and has a fantastic range of dvds and cds to rent aswell as books. Sometimes I think people don't realise how many books you can get from libraries especially reference books like travel guides, I used to always just go out and buy them! I totally agree that people just don't know the range of books we have on offer, why pay for the hazard perception test cd-rom when you can borrow it from the library? why pay for credits on ancestry when you can trace your family tree for free at the library?! Total madness, this is a time when we all need to cut back because of vat increase and job losses so why not save money and use the fab resources that are on our doorstep. I absolutely adore libraries! One of my dreams as a child was to have my own library, like in the Beauty and the Beast. Who am I kidding?! It's STILL a dream. I don't understand how people can justify getting rid of libraries. Whomever is in charge (wherever you are in the world) is always talking about bettering education. It's one of those lines that always gets used. Yet they justify getting rid of a resource that provides education to everyone. For free. 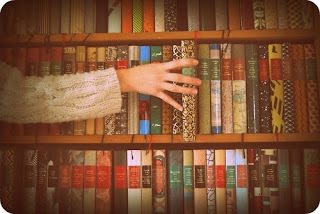 A library is a place where people can go to learn about anything in the world. It's a place that allows people to better themselves, expand their mind and discover things that they may never see in their little world. Or it's just a place where you can chillax, read a book and imagine running around a big old building with a stick in your hand and an unusual cloak over your head. I'd be so lost without our local library, it's only small but has an amazing array of books and is the only way I can afford to keep up with my reading! Nice post! I'd forgotten that libraries in the UK are way more modern than they are over here. (well, in England, that's the only place I've been to within the UK). Here they're usually very old, some from colonial times; except for the National Libray, that is. I'm so happy this post got great responses, it's nice to know that people care about libraries. @Charlene- some libraries have anmesty days where you hand books in without worrying about fins so look out for those :) I buy books in charity shops too but libraries are great for tings you will only need once like a travel guides etc. @Lee- haha I totally wanted to become a librarian because of Beauty and the Beast and Harry Potter. The public libraries I work in are modern but the Uni one has lots of dusty and exciting looking books. @daisychain- I read sooo much I could never afford to pay £4 for each paperback I wanted plus there would be no room in my house to keep all the books. @Miki- thanks, I would love to visit the library in NYC. I'm such a library geek! I think it's terrible that libraries are slowling being closed and not getting the credit they deserve. My husband & I were talking about this last night & how awful it is. I worked in one for 4 years and it was so easy to see that having a library in the community is good for everyone. Ah the smell of books! My boyfriend was going to get me one of those e-reader yolkey-ma-bobs for my birthday one time. I had to set him straight. If I can't smell it and flick through the pages and put an actual, honest to goodness bookmark into it, I don't want to read it. @Gem, yeah my college library is fairly massive and I love looking at old editions of some of the books. There's something about big old hardbacks that I just love... It doesn't matter if the chemistry in it is way out of date and it's too heavy to put in my bag. I want to take it out! I had no idea that this was on the cards for my local libraries until I clicked on your link! Sounds bad, as I'm sure space for books will be limited. I use the university library more than the public libraries, but I do pop into my local library and the one in town a few times a year. It's disappointing to think that when I next need to use my local library it could be gone. My university library just doesn't have the knitting books that I need.